Looking for a new dog food for your pup? 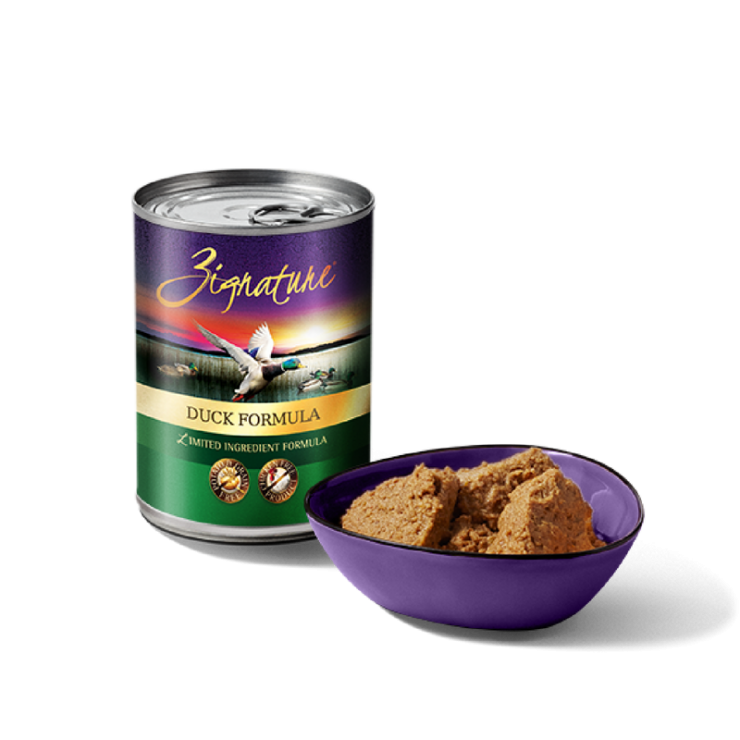 Try out the Zignature Canned Duck Formula available at North Fulton. From Western France, our flavorful Duck Formula is the healthiest dog food, providing a complete protein that is rich in Omega-3 fatty acids. If your pup has any pet food allergy, our grain free, chicken free Duck Formula provides a hypoallergenic dog food alternative. The healthiest pet food is great for elimination diets, being high in Zinc and Selenium, while being low in sodium, giving your large breed or medium sized dogs the best dog food possible. This limited ingredient dog food is balanced with fruits and vegetables to provide powerful antioxidants and low glycemic carbohydrates.